What IS Friends of the Farms, and how does it serve the community of Bainbridge Island? In this podcast BCB host Bob Ross talks with the organization’s interim director, Kevin Haggerty, about his life experiences and his vision for the organization he serves. Kevin graduated just a few years ago from Lewis & Clark College with a dual degree in Philosophy and German. Following graduation he headed south and worked for AmeriCorps, teaching young people the value of urban agriculture and how to make it work. After his time in AmeriCorps Kevin moved to Ireland, sponsored by the WWOOF (World Wide Opportunities on Organic Farms) program to work on a small farm. 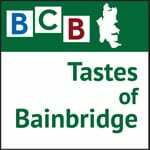 It was that experience that led him to Bainbridge Island to work for Friends of the Farms. In this podcast Kevin describes his experiences and discusses the mission of Friends of the Farms. Due to rapid “suburbanization,” small-scale farming has become endangered on Bainbridge Island. 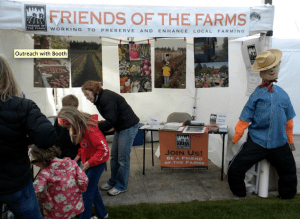 Friends of the Farms believes that the history of farming on Bainbridge Island is a legacy worth cherishing, and is working to reverse this trend by protecting existing farmland and helping to acquire more land for expanding farming opportunities. Because one of the major barriers to the renewal of small farming here is the high cost of land, FOF focuses on providing workable land for farmers, through a variety of means: acquisition of land through city-sponsored initiatives, collaboration with land trust organizations, creation of leases for appropriate use of city-owned farmland, matching private landowners with farmers, and developing legacy land-giving programs. FOF believes that efforts to keep farming alive will create a more resilient local economy, protect the natural beauty of the landscape, and provide healthy food for our community. For more on how you can support this organization and become a volunteer, visit http://friendsofthefarms.org. Credits: BCB host: Robert Ross; audio tech and editor: Chris Walker; BCB social media publisher: Diane Walker.